Nursing home neglect is a very serious issue all across the United States and is considered one of the most common forms of abuse. The definition of nursing home neglect is when a resident fails to receive the proper care to maintain a good quality of life. When a nursing home fails to provide proper care to their residents, the damage can be quite severe. Residents can begin to show significant physical and mental harm. It is important that loved ones identify the warning signs of nursing home neglect, as they have the power to help end the abuse. Certain indicators do not always mean that nursing home neglect has taken place. However, a combination of certain signals and prior case history is enough to support claims of neglect. 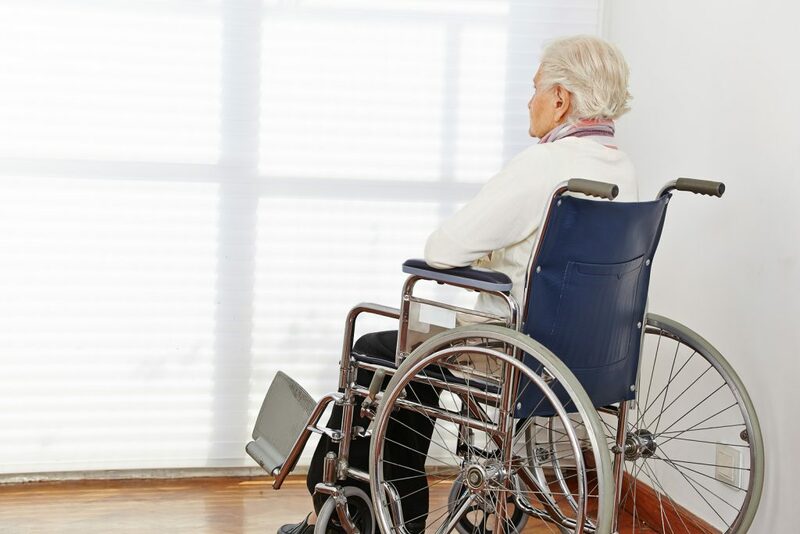 Here are six signs of nursing home neglect, including poor personal hygiene, unsanitary living conditions, and psychological pain. One of the main responsibilities of nursing home staff is aiding the residents with personal hygiene. That job may include assisting them with getting dressed, brushing their teeth, clipping their nails, and combing their hair. Nursing home neglect can stem from the fact that a resident is having trouble accomplishing these tasks on a daily basis. Too often, residents are embarrassed to admit their inability to maintain personal hygiene. Failure to maintain a full staff can also cause this type of negligence to take place inside a nursing home. Part of the agreement to live inside a nursing home is that the resident can expect a safe and clean environment to be provided by the staff. Failure to live up to this agreement could result in the nursing home being charged with negligence. According to federal law, a nursing home facility must establish and maintain an infection control program that provides a safe and sanitary environment for all residents. Also, all nursing homes must meet yearly state safety and security requirements in order to keep their business license. It is imperative for loved ones to make sure the nursing home provides clean bedding and clothes, and that the bathroom area is cleaned daily. If any of these duties are neglected, then the residents are at risk of serious health-related issues. A nursing home must offer a nutritional diet, or physical ailments such as malnutrition and dehydration will develop among the residents. This type of neglect is not usually deliberate, but simply an oversight by the staff. Independent research groups estimate that nearly 20 percent of all nursing home residents suffer from malnutrition. This negligence may be caused by a lack of staff, which puts a strain on providing individual care to all potential residents. Mobility is a daily challenge for many nursing home residents, as the majority of them need assistance moving around the facility. Mobility issues can be helped by keeping the residents as active as possible. Many nursing home facilities have created a walking program for their residents, which builds muscle tone, improves circulation in the limbs, and improves balancing issues. Residents cannot lie in bed for too long, because they run a risk of losing total mobility. Failure to maintain a regular walking routine could increase the chances of bedsores and other skin infections developing. If an elderly relative has sustained a broken bone, bruises, or a head injury, they could be a victim of nursing home neglect or abuse. A related indicator of this neglect occurs when a resident attempts tasks without the assistance of a staff member. It may be as simple as walking to the bathroom, but this action could lead to an unexpected fall inside their room. Those who survive their injuries have a high risk of becoming permanently disabled for the remainder of their life. It is important to remember that some residents prefer to try to do things on their own, so refusing help does not always indicate negligence. Nursing home neglect can also cause psychological harm. A good indicator of this is the nursing home resident becoming uncomfortable around their caregiver and being reluctant to answer questions. Conversations may often be brief and residents may become isolated from family and friends. All of these personality changes must be taken seriously and addressed immediately. Nursing home neglect is a tragic issue that can cause physical and psychological harm to the elderly. If you suspect a loved one is being neglected, contact Attorney Dean Boyd today. Call us at (806) 242-3333 or Contact Us by email for more information about our legal services. You can also visit our office at 4423 SW 45th Ave in Amarillo, Texas or 5012 50th St #103 in Lubbock, Texas.